Welcome! Your new Corn is a normal/classic. That orange coloring on it (ground color) will spread. Normals can vary, factors include the parent morphs as well as sometimes hets they carry (recessive genes). Oh cool! Thanks I know a little about recessive and dominant genes I just wish I knew a little more about morphs. Thanks again though! There's a lot of information here on this forum on a lot of morphs! 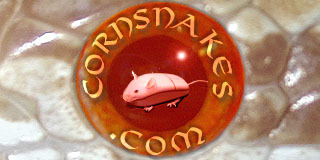 Sometimes you won't believe it's the same snake when you see hatchling or young photos and then the mature corn. The colors usually become more intense. Have fun with your new corn.